The Tapanuli orangutan–the rarest primate in the world–is on the cusp of being obliterated by two Chinese state-owned entities. The Bank of China is funding and Sinohydro is building a dam that would permanently slice up the Tapanuli’s only habitat, and lead it to a near-certain fate of extinction. To save the Tapanuli, we must convince the Bank of China and Sinohydro to stop the Batang Toru dam. Following a widespread day of protest in 14 countries, Bank of China announced their intention to reevaluate the project. Given that the dam would permanently fragment the Tapanuli’s only habitat, any objective analysis would conclude that this orangutan has virtually no chance of survival if construction proceeds. Clearing for the dam has already begun. The next few weeks and months mark our best–and only–chance to save the Tapanuli before it’s too late. Thousands of rare plant and animals species are in danger due to soybean deforestation. Sign the petition to demand that the government act to protect its tropical rainforests and the species that call them home. Mining and other gravel pits are a significant culprit in polluting local air quality. Local research and environmental organizations show Geneva Rock has knowingly distributed fugitive dust and crystalline silica into our air. As stated by Utah Physicians for a Healthy Environment, “Fugitive dust is composed of harmful particulate matter and often heavy metals including uranium and arsenic. Crystalline silica present in this dust can cause chronic, irreversible lung disease and lead to lung cancer.” These substances are toxic to humans and a major cause of lung disease and other respiratory conditions, including asthma. These diseases are detrimental to all residents, and especially children, pregnant women, and the elderly. Similarly, Geneva Rock’s expansion is a potential danger to homes and safety in Draper. The close proximity of explosive charges, large construction machinery, and natural human error has the potential to dismantle the integrity of the Point of the Mountain and the home and lives that live on it. Because the Point is a large sand bar, by continuing to dig and disrupt its foundation, Geneva Rock is putting the lives of Draper residents and their homes at risk. Geneva Rock’s plan discourages the economic growth and development the state of Utah is proposing with Silicon Slopes. Credible companies will not move to Utah with our unhealthy environment. Additionally, tourists and outdoor enthusiasts flock to the Point annually. In order to retain and attract these groups, the city needs to vote no to the Geneva Rock expansion. 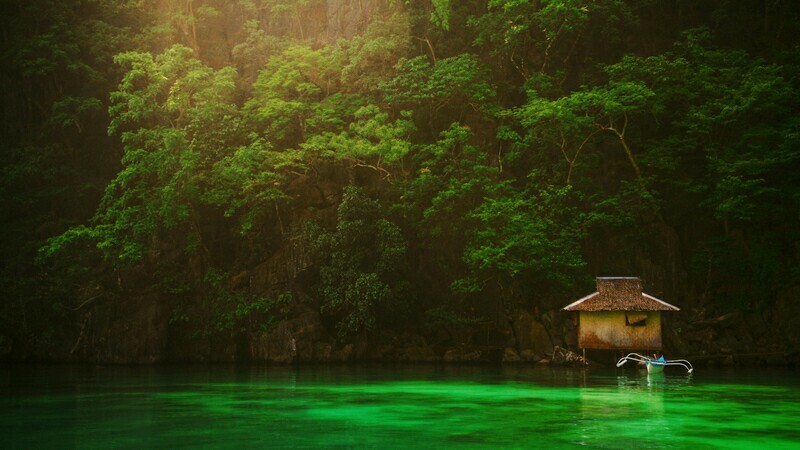 We need to protect are best, natural asset for social growth and integrity. We stand united with the residents of Draper and oppose Geneva Rock’s proposal to rezone their mining operations into the Point of the Mountain. New research conducted by Greenpeace during its expedition to the Antarctic found plastics and dangerous chemicals in the most remote and seemingly pristine areas of the continent. Scientific analysis of water and snow samples revealed that the Antarctic is contaminated with microplastics, microscopic materials that no place on Earth seems to be free from anymore. The majority of samples tested as part of the study contained plastic or persistent and potentially dangerous chemicals. 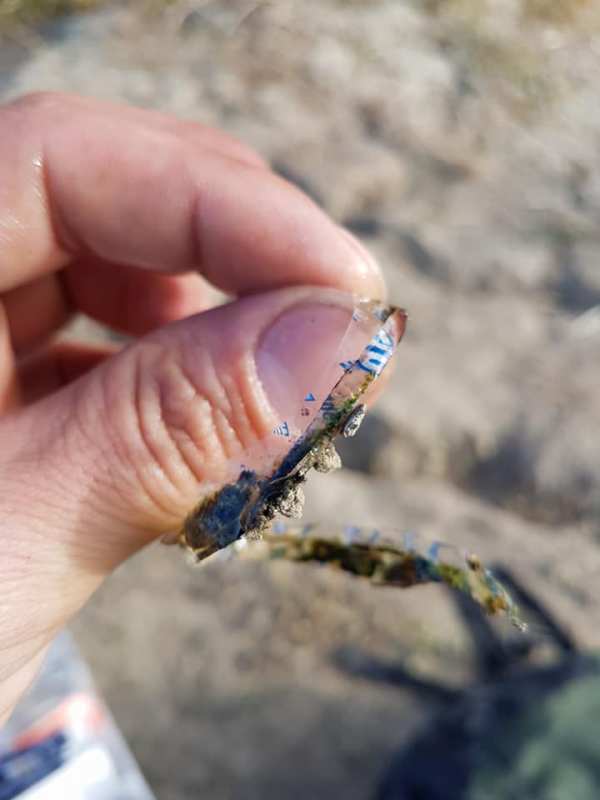 Researchers found that seven of the eight tested seawater samples contained microplastics, with at least one microplastic fiber per liter. Additionally, microplastics were detected in two of the nine samples that had been taken using a manta trawl. When it comes to chemicals, researchers reported that detectable concentrations of polyfluorinated alkylated substances, PFASs, were found in freshly fallen snow for almost all of the sites where samples were taken. PFASs are chemicals widely used in industrial processes and consumer products. The substances have been linked to reproductive and developmental issues in wildlife, and they degrade very slowly in the environment. The fact that these were found in freshly fallen snow suggests that some hazardous chemicals are atmospheric, not from a local source. In 2017, scientists found ice floes in the middle of the Arctic Ocean to be contaminated with plastic – unwelcomed proof that virtually no place is now safe from human-generated plastic pollution. The findings in the Antarctic are unfortunately more proof of this reality. Due to limited existing data on the presence of microplastics in the continent’s waters, the new findings are a significant addition to the knowledge on plastic pollution in the environment. Microplastics accumulate in the environment and make their way up the food chain with ease. Mistaken for food or ingested accidentally, tiny pieces of plastic add up in animals’ stomachs and can cause health problems and even death. As humans, we are not safe from microplastics either – they have already been found not only to get into people’s diets through seafood but to also contaminate most of the world’s tap water and bottled water. You can find the full “Microplastics and Persistent Fluorinated Chemicals in the Antarctic” report here. Every year, we produce around 300 million tons of plastic, so it is up to all of us to put an end to this environmental scourge. To find out how you can help fight plastic pollution by ditching disposable plastics, check out One Green Planet’s #CrushPlastic campaign! A new, comprehensive analysis came to a regrettable conclusion for all you cheeseburger lovers out there: The earth has a beef with your meat and dairy consumption. A vegan diet is “probably the single biggest way to reduce your impact on planet Earth,” the University of Oxford’s Joseph Poore, the lead researcher, told the Guardian. He says that giving up meat and dairy makes a “far bigger” difference than cutting down on flying or getting an electric vehicle. The researchers found that meat and dairy production is responsible for 60 percent of greenhouse gas emissions from agriculture. The study, published in the journal Science, represents the most comprehensive analysis of farming’s environmental impact to date. It assessed the production of 40 different foods (representing 90 percent of all that we eat) at 40,000 farms across the world, analyzing their impact on land use, greenhouse gas emissions, water use, and air and water pollution. If we gave up meat and dairy, we could reduce farmland by more than 75 percent worldwide and have enough food for everyone to eat, the analysis shows. The results support what the science had already been telling us, even though the researchers took a new approach of gathering data farm by farm. Previous work had used national data to quantify farming’s impact. “It is very reassuring to see they yield essentially the same results,” Gidon Eshel, a Bard College food researcher who wasn’t involved in the Science analysis, told the Guardian. While this is a confirmation of what we’ve been hearing for years, we also know that getting the entire world to switch to veganism is a hard sell. And in fact, after a few years of decline, meat eating is on the rise again: Americans are predicted to eat a record-shattering amount of red meat and poultry this year. It’s never too late to join the reducetarian movement, meat lovers. It might seem unbelievable, but one of Australia’s most iconic animals is now under threat of disappearing. In fact, if things don’t change, researchers say that the marsupial could go extinct within our lifetime. This previously unthinkable headline is mainly because the state governments have been far to lenient when it comes to clear-cutting in the koala’s last remaining ranges. The numbers tell a horrifying story. In Queensland for example, between 2012 and 2016, 5,000 koalas lost their lives due to habitat loss. Ninety-four percent of them died due to deforestation in the states rural areal. And while koalas are dying everywhere in Queensland, losing ground to big box stores and skyscrapers as the threat of new developments constantly loom, the rampant destruction of the koala’s habitat outside of the urban centers is by far their biggest threat. Under Queensland’s previous premier, laws that strictly regulated tree-clearing were rolled back. Now, the new premier, Annastacia Palaszczuk is considering introducing new measures that will help put an end to endless toppling of the koala’s forests. It couldn’t come at a more crucial time. Speak up and tell the Palaszczuk government that they have a duty to protect the last remaining Queensland koala populations. Sign and ask them to pass to new tree-clearing restrictions today. “This is a Powerade wrapper which takes up no room in your pocket until you get to a garbage can,” he wrote. 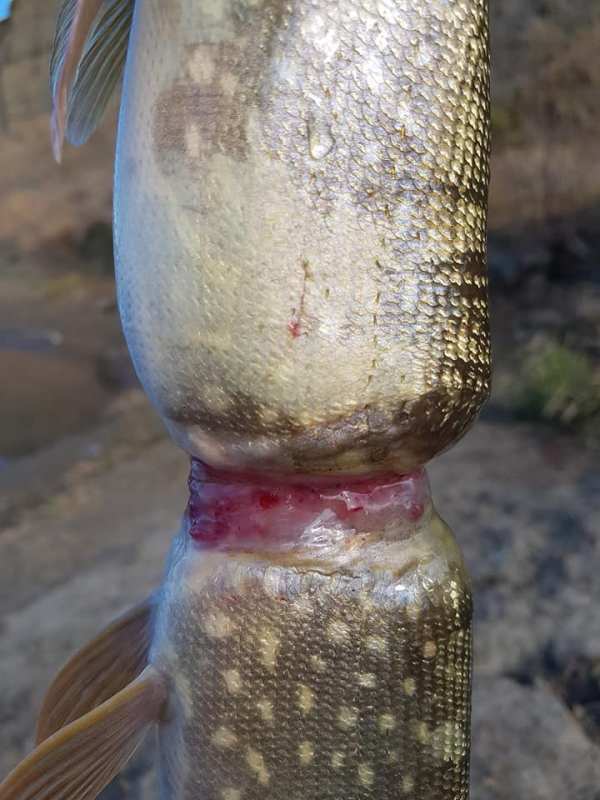 Turnbull told UNILAD that, when he first saw the fish, he thought that it had been attacked and wounded by another fish. When he picked it out of the water, however, he noticed the wrapper – then grabbed a pair of scissors and carefully removed it. In just a few days, his post has been shared more than 12,000 times. 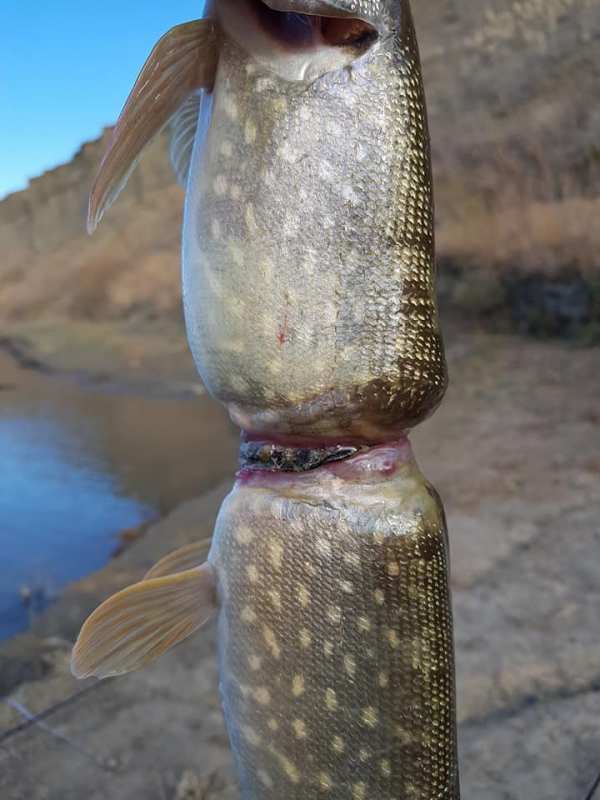 Once freed from the plastic wrapper, the fish was released back into the water and “shot off like a rocket,” hopefully never to need human help again. Plastic trash poses a serious threat to marine animals who are susceptible to ingesting and getting entangled in the debris. More and more often, we see the way animals are directly impacted by what we throw away – and this trend will not change as long as we do not change our habits when it comes to our plastic consumption. Every year, around 8.8 million tons of plastic end up in the oceans. It has become so all-pervasive that now researchers find pieces of it even in such improbable remote places as the Arctic Ocean. http://www.onegreenplanet.org/news/man-finds-fish-with-embedded-plastic-wrapper/?utm_source=Green+Monster+Mailing+List&utm_campaign=01e0b57346-NEWSLETTER_EMAIL_CAMPAIGN&utm_medium=email&utm_term=0_bbf62ddf34-01e0b57346-106049477 learn how to use less plastic in your everyday life, check out One Green Planet’s #CrushPlastic campaign! Woohoo! EarthJustice just won a 16-year-long battle to protect 50 million acres of forests from logging and road construction U.S. after a district court threw out an attack by the state of Alaska against the Roadless Rule that protects roadless areas of national forests. The Roadless Rule was adopted towards the end of the Clinton administration and it prohibits most logging and road construction in roadless areas of national forests – which come up to about 50 million acres, that is about the size of Nebraska. The precious lands are some of the wildest places that still exist in America. 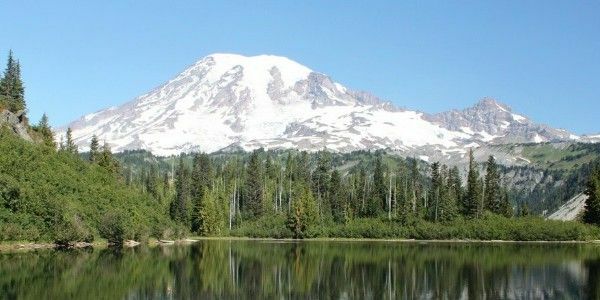 Although overwhelmingly popular among Americans and appreciated by the Forest Service, the rule soon became a problem to state political leaders with ties to the logging and timber industries, and they began attacking it even before Clinton left office. The new Bush administration failed to defend the rule. In that moment, Earthjustice stepped in. “When we first started this, it never crossed my mind we would still be litigating the rule 16 years later,” said Earthjustice attorney Tom Waldo, one of the legal architects of the organization’s Roadless Rule strategy. The main legal battles during this long and tasking period came from Idaho, Wyoming, and, Alaska, all of which challenged the rule. Each of the challenges was met with eager defense from Earthjustice. One case at a time, the organization began to win. Just last week, the very final challenge to the rule was shot down when the U.S. District Court for the District of Columbia found that the state of Alaska’s claims lacked merit. The state could appeal the decision or the President could try to reverse it – but, because of the wide support for the rule, its benefits, and previous successes in multiple courts, any attempts at getting rid of the protections will be faced with a serious legal and political battle. “When you have this 16-year-long experience of consistently having the courts uphold the rule, it helps build a track record of success and popularity that will hopefully help carry us through any challenges and provide a solid foundation for the rule’s continued success,” said Waldo – and, hopefully, the recent win of the Roadless Rule will prove to be the very final one. Please sign the petition to end Government funded irrigation schemes. Ahead of World Bank’s release of the 2017 “Enabling the Business of Agriculture” (EBA) report this month, 157 organizations and academics from around the world denounce the Bank’s scheme to hijack farmers’ right to seeds, attack on food sovereignty and the environment. Global Justice Ecology Project believes it’s critical that environmental protection groups respond to the World Bank when it tries to regulate the autonomy and biodiversity of local farmers from around the globe. The World Bank’s corruption is endless. As a bully of developing nations and a friend to multi-national corporations it should be dismantled so peoples everywhere can regulate themselves. While the EBA reforms will not benefit the majority of farmers, they will increase the profits of a handful of private companies. Only six multinationals currently control over two-thirds of the industrial seed market, and pending agroindustry mergers stand to further consolidate this oligopoly.4 The concentration of the global seed market has a significant impact on seed prices5 as well as seed diversity. Replacing farmers’ seeds with a few uniform industrial varieties contributes to the rapid erosion of global agro-biodiversity, which is crucial to address the climate crisis. In the letter, the group demands the immediate end of the project, originally requested by the G8 to support its industry-co-opted New Alliance for Food Security and Nutrition. “The EBA dictates so-called ‘good practices’ to regulate agriculture and scores countries on how well they implement its prescriptions,” said Frederic Mousseau, Policy Director at the Oakland Institute. “But the EBA has become the latest tool, to push pro-corporate agricultural policies, notably in the seed sector—where it promotes industrial seeds, that benefit a handful of agrochemical companies,” he continued. Only six multinationals currently control over two-thirds of the industrial seed sales, and pending agro-industry mergers stand to further consolidate this oligopoly. Further market expansion for these corporations depends on the shrinking of farmer-managed seed systems, which currently provide 80 to 90 percent of the seed supply in developing countries through on-farm seed saving and farmer-to-farmer seed exchange. 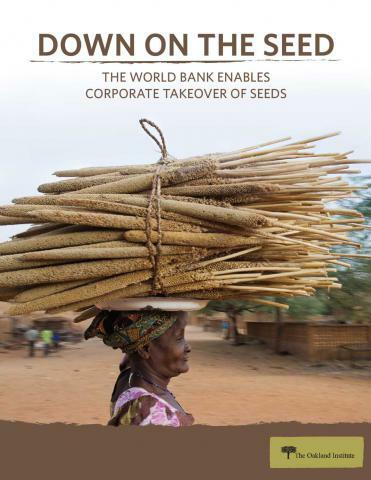 A new report, Down On the Seed, the World Bank Enables Corporate Takeover of Seeds, exposes that while the World Bank claims to promote “smart and balanced policies,” its EBA index blatantly ignores farmer-managed seed systems. Instead, it reinforces the stranglehold of agrochemical companies and Western nations by pushing for intellectual property rights in agriculture, so that private breeders profiteer from the use of their seeds by farmers. The EBA also awards the best scores to countries that ease private companies—not the farmers—access to public gene banks. In addition, the Bank recommends that governments reduce the time and cost necessary to register industrial seeds, with the private sector as the predominant force on the national committees that oversee the introduction of new varieties. In its 2016 EBA report, the World Bank upheld Tanzania as a model country for enacting intellectual property laws in agriculture, and becoming the first least-developed nation bound by the 1991 UPOV Convention. UPOV is a pro-industry treaty that dramatically restricts farmers’ rights to save, exchange, and sell seeds. Under Tanzania’s seed laws, farmers now risk fines and imprisonment for practicing ancestral seed saving and trading, and are being forced to rely on industrial varieties. With the stroke of a pen, Donald Trump moments ago signed executive orders to pave the way for completion of the massively contested Dakota Access and Keystone XL Pipelines. “These actions by President Trump are insane and extreme, and nothing short of attacks on our ancestral homelands as Indigenous peoples. The executive orders demonstrate that this administration is more than willing to violate federal law that is meant to protect Indigenous rights, human rights, the environment and the overall safety of communities for the benefit of the fossil fuel industry. Time to ramp up our resistance now that the Empire has been unmasked! Tillerson’s nomination is just one more example of how Trump’s government will put corporate profits and political favors above people and the planet. This is a tremendous victory for the Standing Rock Sioux Tribe, other indigenous leaders and the Iowa landowners who have led the fierce and principled grassroots resistance to the pipeline. While this fight is not over yet, Sunday’s announcement was a major setback for the pipeline and a testament to the power of grassroots activism. Nearly 500,000 CREDO members have taken action against the pipeline by signing petitions, calling the White House, pledging to resist arrest to stop the pipeline’s construction in Iowa and joining rapid response rallies against the pipeline from coast to coast. Just like with the Keystone XL pipeline, pundits and experts dismissed opposition to the Dakota Access pipeline as a lost cause with no chance of success. Once again we’ve shown that when progressives stand together and fight for what’s right, we can take on seemingly impossible fights and win. We’ve also proven yet again that grassroots resistance and direct action provide a viable roadmap for stopping pipelines and keeping fossil fuels in the ground where they belong. 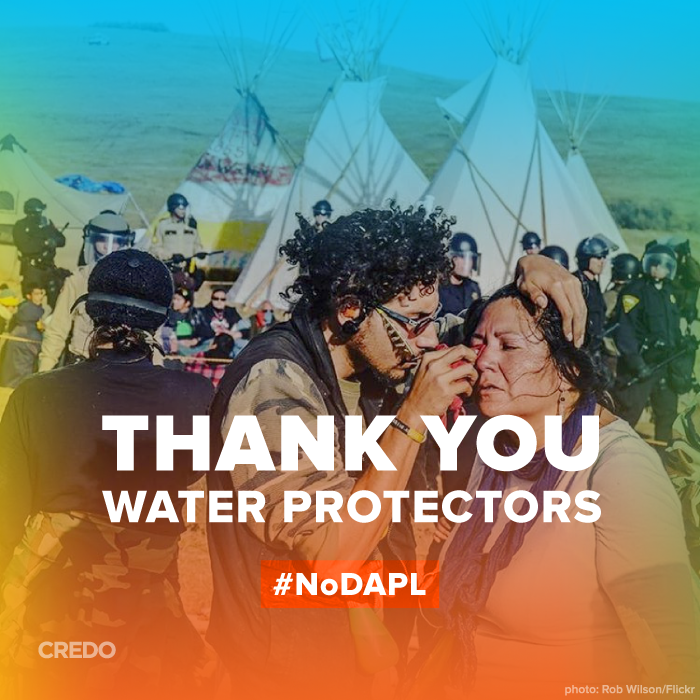 CREDO is proud to have helped fund the opposition to the Dakota Access pipeline. Our members made significant financial contributions to some of the groups leading the fight, including the Red Warrior Camp, the Bold Alliance,and 350.org. Another key group in the resistance to the Dakota Access pipeline, Honor the Earth, is one of the 15 organizations CREDO members are funding in December. While Sunday’s permit denial was a major victory, it is important to understand that this fight is not over yet. 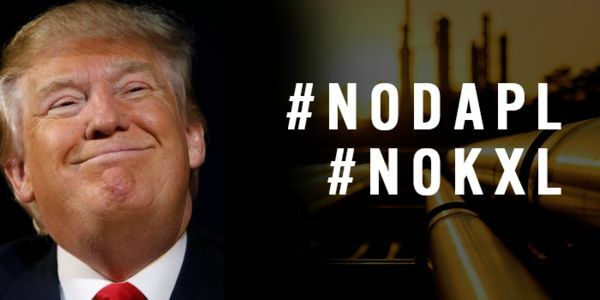 As we saw with the Keystone XL pipeline, the oil industry will not give up easily – especially when a multi-billion dollar pipeline project is at stake. We don’t yet know exactly what the attempts to bring the Dakota Access pipeline back to life will look like, but we do know this: CREDO will continue fighting with every tool at our disposal to make sure the Dakota Access pipeline is never completed. We will need your continued activism and help to make sure the Dakota Access pipeline is never built and to proceed the crucial work of keeping fossil fuels in the ground. Today we celebrate, tomorrow we continue the fight. If you haven’t yet, please share the good news and thank the brave Water Protectors who led this fight. Most companies go into business to make money. Thirty years ago, we went into business to make change, offering services like mobile to make it easy for you to make a difference. Since 1985 we’ve donated over $81 million to progressive nonprofits, and we’ve built a network of over 4 million activists advocating for causes we believe in. Today, the U.S. Army Corps of Engineers announced that it would not be granting an easement under Lake Oahe for the Dakota Access pipeline to cross the Missouri River a half mile upstream of the Standing Rock Sioux Tribe reservation. The Corps further stated that it plans to prepare an Environmental Impact Statement for alternative routes. These actions trigger a new round of public involvement processes to permit the final piece of the pipeline as required by the National Environmental Policy Act. Climate hawks unite! Meet the newest members of Congress who will fight climate change. Last week was an awful one for anyone who cares about the environment. The new Congress and president-elect have a broad, aggressive, anti-environment agenda. Donald Trump has promised to scrap the Paris agreement, repeal all climate regulations, and approve every oil pipeline he can find. Congressional Republicans have spent years practicing for this moment by passing bills that eviscerate the government’s power to regulate pollution. And it’s sure to get worse as Trump fills his cabinet with fossil fuel magnates and climate science deniers. But amid all the depressing news, there were a handful of election results that offer a glimmer of hope. At least five candidates with strong climate credentials won offices in Congress, and they have an impressive range of personal and political backgrounds. Here’s a quick overview of the newest congressional climate hawks. Chris Van Hollen: Van Hollen is a progressive from the Maryland suburbs of Washington, D.C., who just won election to the Senate. He served for the last 13 years in the House of Representatives, where he co-chaired the Bicameral Task Force on Climate Change and the Renewable Energy and Energy Efficiency Caucus. When he served in Maryland’s legislature, he helped pass a comprehensive package of tax incentives to support clean energy. Last year, Van Hollen introduced the “Healthy Climate and Family Security Act.” The bill would cap and gradually reduce carbon pollution, set up an auction for carbon pollution permits, and hand over proceeds to Americans in the form of an annual dividend. The League of Conservation Voters gives him a near-perfect 98 percent lifetime voting score. Ever the optimist, Van Hollen told Grist that he thinks there are some issues around energy policy in which he hopes to work with Republicans, especially in light of president-elect Donald Trump’s pitch for new infrastructure investment. Van Hollen also thinks a “green bank,” which would lend capital to businesses, non-profits, and local governments for energy efficiency and clean energy projects, could be incorporated into a Trump administration’s infrastructure bill. Of course, Republicans have largely resisted such proposals. (Van Hollen introduced a bill to create a green bank in 2014 that went nowhere.) But Van Hollen thinks that could change if Democrats stress the high cost of inaction. Kamala Harris: Sen. Barbara Boxer, the longtime climate leader from California, is retiring. Her replacement is Harris, the Golden State’s attorney general and a charismatic African-American woman. Harris excited the state’s climate activists earlier this year when she launched an investigation into whether ExxonMobil lied about climate science. Her environmental platform included calling for carbon pricing and a raft of proposals to address California’s water shortage. “She fully understands that the drought is going to have a profound effect on California’s future and that the drought is caused in part by climate change,” says R.L. Miller, the California-based founder of Climate Hawks Vote, a political action committee that supported Harris and other pro-climate candidates. Nanette Barragán: Barragán ran a pro-climate congressional campaign in California’s 44th district. Barragán, a Latina lawyer and former member of the Hermosa Beach City Council, helped lead a successful campaign to stop new oil drilling in the city. She also helped pass a ban on plastic bags and backed the city’s goal of getting carbon neutral by 2020. Salud Carbajal: Another Latino climate leader from California, Carbajal is a supervisor in Santa Barbara County. Climate Hawks Vote backed Carbajal because he stood up against fracking, fighting for a ballot measure to ban it in 2014, even as it went down to defeat. Miller recounts a story from late October to illustrate Carbajal’s commitment. Santa Barbara’s County Council was closely divided on a proposal to approve 96 new oil wells in the area. Kamala Harris, whose election to the Senate looked certain, was campaigning for down-ballot Democrats in tight races. She went to Santa Barbara County, because Carbajal was in a very close race. But he missed the event with Harris to attend the county council vote over the wells. In the end, Carbajal cast the decisive vote rejecting them. Brad Schneider: While congressional climate hawks tend to cluster on the coasts, you can find some in the Midwest. One is Illinois congressman Brad Schneider, who lost his House seat in 2014 but just reclaimed it last week. During his previous two-year term, Schneider racked up an impressive LCV score of 90 percent. Schneider had the backing of a number of green groups in this election. He earned the endorsement of Vote Climate USA PAC, a pro-climate political action committee, after he declared his support for a nationwide carbon tax or a similar scheme to put prices on emissions. That last part refers to congressional Republicans constant assault on regulations of carbon and conventional pollutants, an attack sure to resume next year. Any action to combat climate change under a Trump administration will require boundless stamina, local organizing, and dedicated climate leaders who push the boundaries of what is politically possible. And, despite all the negative news, there will be a fresh crop of such leaders coming to Washington. © 1999-2016 Grist Magazine, Inc. All rights reserved. Grist is powered by WordPress.com VIP. Do any 100-percent compostable or recyclable toothbrushes exist outside of boar bristle brushes? I’m trying to eliminate all landfill waste from my bath and cosmetic products, but sticking a pig-tasting brush in my mouth is less than appealing. If I were to write a book about going zero-waste in the bathroom — and from soap to TP to lip balm, there’s certainly enough fodder for one — I’d have to devote an entire chapter to dental hygiene alone. We’d need to cover floss, of course, plus toothpaste, tongue scrapers, and the greenest way to keep one’s grill sparkling-clean. So I’m a bit relieved that you’re asking only about toothbrushes. Those, at least, we can handle in one column. The gurus over at the American Dental Association recommend that we swap out toothbrushes every three to four months — so each one of us diligent brushers might be tearing through 320 or more of these bristly plastic sticks in our lifetimes. Picture everyone in St. Paul tossing that many brushes into the landfill, and those slim dental tools start to add up, don’t they? So it’s smart to do what we can do reduce such throwaways. Luckily, Elizabeth, I don’t believe that requires resigning yourself to porcine mouth twice a day. True, boar bristle brushes are indeed an option, and they will biodegrade (unlike the nylon that makes up your standard bristles). I have never used one, but my research has uncovered both positive and negative reviews: It seems some people complain of a “funky” odor, but note that it fades fairly quickly. Perhaps more concerning is the fact that boar bristles are often stiffer than the average toothbrush’s, which can be rough on your enamel. Boar bristles are also usually sourced as a byproduct of the meat industry in China or India, which, depending on your views on animal products, might make this a no-go for you. And then there’s just the plain old gross factor, which sounds like it applies here (hey, I get it). And if these two totally compostable options are just too odd? That’s OK. We can still reduce our toothbrush-related waste without going that far. And while every little bit counts, I also believe in not sweating the small stuff — and the bristles on your toothbrush most definitely qualify as small stuff. So let’s brush up on a few not-entirely-biodegradable-but-still-eco-friendlier tools. You can find several toothbrushes with biodegradable handles out there, even if not bristles: A few companies fashion theirs out of bamboo, that quick-growing, light-on-the-land woody grass we environmentalists also like for our sheets, flooring, and bike frames. This bamboo brand has further reduced its plastic content by making its bristles from 62 percent castor bean oil. This company makes its brushes from compostable bioplastic using “leftover plant material from American farms.” Some of these brushes have “binchotan charcoal” bristles, but know that these scrubbers are typically charcoal-infused nylon, which means the bristles are still not biodegradable. When it’s time for a new brush, these companies often suggest ripping out the nylon bristles with pliers before composting the handles — which actually sounds like a nice stress reliever to me. Then there are the toothbrushes that are recycled and/or recyclable. These guys produce handles from recycled #5 plastic that can be recycled again in some curbside programs (but check with your local recyclers, as not everyone will accept them). This toothbrush is made from recycled yogurt containers, and you can give it new life when you’re done through the Gimme 5 drop-off/mail-in program. Similarly, TerraCycle accepts brushes from Colgate. As we’ve recently discussed, buying recycled stuff when we need to acquire new items helps to support the recycling market, so it’s a smart move. One more option for you and your pearly whites, Elizabeth: toothbrushes with replaceable heads, which let you keep your handle basically ad infinitum. This one looks like your typical brush, while this one (made of recycled wood and paper) has a certain funky charm, and this recycled aluminum one is pure modernist chic. Bet you haven’t thought about your toothbrush as a style statement before, eh? Best of luck on your zero-waste journey. It can be a twisty road with many challenges, but I bet you’ll find it worthwhile. In the meantime, I wish you fresh breath and zero cavities. Once again, the Republican leadership, especially in the House, is advancing a Big Polluter Agenda to undermine just about every basic environmental protection current law provides to the American people. It appears no environmental law is safe from the demands of corporate polluters and their cheerleaders in the Republican Party. The Republican Leadership is trying to force this Big Polluter Agenda on the public through provisions in must-pass spending bills. These provisions are called “riders” because they ride along on unrelated legislation. Riders that are typically tacked onto a spending bill, for example, would not change federal spending by one cent. Instead, riders are used to sneak through legislative changes that would be difficult to pass on their own in open congressional debate. Riders often result in the measures getting less scrutiny and enable their sponsors to avoid responsibility for pushing them. And they can be harder to veto because of all the unrelated items surrounding them. In the past, spending riders have led to government shutdowns when intransigent Republicans were unwilling to fund the government without restricting environmental protection. But polling clearly shows strong public support for environmental protection. That’s why the Republican leadership uses riders – they know how hard it would be to prevail on a clean yes-or-no vote directly on environmental and public health protections. Republican leaders have learned little after forcing a government shutdown that Standard & Poor’s says cost the nation $24 billion. They are again threatening damage to America’s families, communities, and economy as they strive to reverse many years of progress. These are the riders that have been added so far to the spending bills for fiscal year 2017, which begins October 1. We include section numbers to indicate where these riders are found in the corresponding legislation. In some cases, we include amendment numbers for riders that were voted into legislation but have not yet been assigned section numbers. This page will be updated as the appropriations process plays out in the House and Senate. A rider in the House Interior and Environment appropriation (p.83) requires all biomass burned for electricity production to be considered to have zero carbon pollution despite the fact that emissions from wood biomass are often higher than those from coal. 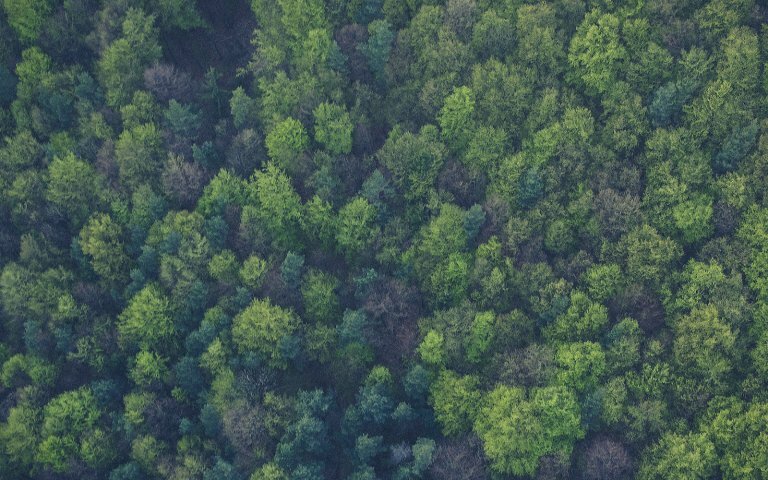 This language threatens the long term health of forests by encouraging the burning of trees to generate electricity, and worsens climate change by pretending climate-changing emissions don’t exist. A similar rider was included in the Senate Interior and Environment appropriation (Sec. 414). A rider in the House Interior and Environment appropriation (Sec. 127) added by Rep Culberson (R-TX) prevents new air quality protections that under development by the Bureau of Ocean Energy Management’s (BOEM). 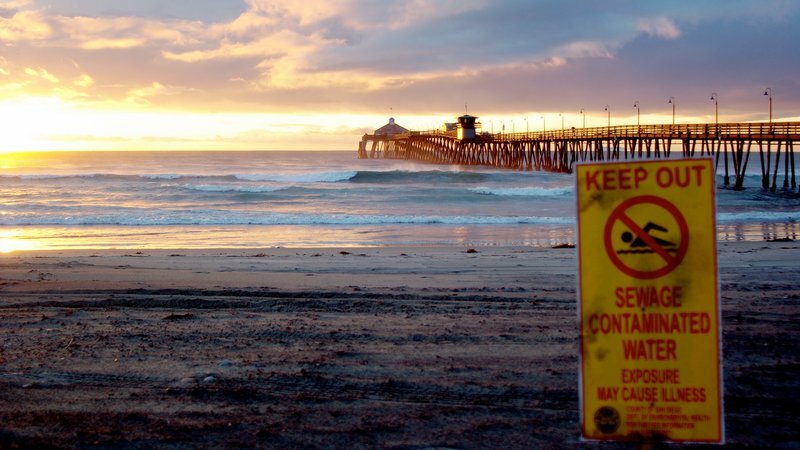 The new rules will improve air quality for coastal communities by updating decades old standards and require better pollution controls for offshore sources. A rider in the House Interior and Environment appropriation (Sec. 417) permanently prevents the EPA from limiting pollution from livestock production under the Clean Air Act. A similar rider was added to the Senate Interior and Environment appropriation (Sec. 420). A rider in the House Interior and Environment appropriation (Sec. 418) prevents the EPA from requiring the reporting of greenhouse gas emissions from manure management systems. A similar rider was added to the Senate Interior and Environment appropriation (Sec. 421). A rider in the House Interior and Environment appropriation (Sec. 431) prevents EPA from limiting carbon pollution and implementing the first-ever carbon pollution standards for new and existing fossil fuel power plants. A rider in the House Interior and Environment appropriation (Sec. 434) blocks EPA’s ability to set standards curtailing use of super-polluting hydrofluorocarbon (HFC) refrigerants and foam blowing agents. HFCs are potent greenhouse gases that have thousands of times more impact on climate change, pound for pound, than carbon dioxide. Companies are making safer alternatives, but the rider would allow unlimited growth in these outmoded and dangerous pollutants. The rider would also damage the United States’ international credibility and frustrate efforts – supported by industry – to negotiate a global HFC phase-out under the Montreal Protocol. A rider in the House Interior and Environment appropriation (Sec. 436) blocks EPA from considering of the costs of carbon pollution on the rest of the world. It bars the government from assessing and weighing the full costs of extreme weather or other climate impacts caused by our pollution, and the full benefits of any actions to improve energy efficiency or clean up carbon pollution. We want Europe and China to be responsible for the harms their emissions impose, so it’s only right for us to consider the effects of our carbon pollution on others. A rider in the House Interior and Environment appropriation (sec. 438) delays EPA’s latest health standards for ground-level ozone (smog) pollution for ten years, preventing Americans from even having the right to know if the air they breathe is unhealthy for ten years and severely delaying cleanup steps. The rider also would let corporations that apply for air pollution permits pollute at levels that are unsafe under national health standards. A rider in the House Interior and Environment appropriation (Sec. 439) prevents EPA from addressing methane emissions from sources in the oil and natural gas sector under Sections 111(b) or (d) of the Clean Air Act. This includes the recently finalized new and modified methane source standard and an as yet to be proposed standard for existing sources of methane emissions in the oil and gas sector, including a recently initiated process by EPA to obtain data for existing methane sources. The rider also blocks yet to be finalized Draft Control Techniques Guidelines that would control emissions of volatile organic compounds for the oil and natural gas industry. A rider in the House Interior and Environment appropriation added by Rep Perry (R-PA) rolls back the Clean Air Act and blocks any potential plan to address climate change. Instead of listening to the national security experts, faith leaders, scientists, energy innovators, health professionals and many others who are sounding the alarm on climate change and have implored our nation’s elected officials to support action, this amendment simply seeks another way to say “no. A rider in the House Interior and Environment appropriation added by Rep Ratcliffe (R-TX) blocks a proposed, voluntary program that encourages and rewards early action to reduce carbon pollution, something many states and power companies have asked for as EPA developed the Clean Power Plan. In addition to providing incentives for clean energy technologies like wind and solar, the program would provide a double credit for energy efficiency investments in low-income communities. By releasing the Clean Energy Incentive Program proposed rule and taking public comment, EPA is doing the prudent thing by continuing to work with those states, power companies, and stakeholders that are continuing to plan for future Clean Power Plan implementation. A rider in the House Energy and Water appropriation offered by Rep. Gosar (R-AZ) blocks work on the Department of Energy’s Climate Model Development and Validation Program. A rider in the Senate Interior and Environment appropriation (Sec. 419) attempts to waste resources and thwart progress by requiring the Administration to submit a report to the congressional Appropriations committees describing all Federal agency funding for climate change programs, projects, and activities in fiscal years 2016 and 2017. A rider in the Senate Energy and Water appropriation committee report (Committee Report, p. 62) would block any Department of Energy regulation in FY17 that analyzes the impact of the rule on carbon emissions until EPA revises its “social costs of carbon assessment” downward in a biased fashion. A similar rider was added to the House Energy and Water appropriation (H. Amdt. 8) by Rep Gosar. A rider in the House Transportation, Housing and Urban Development appropriation (Sec. 236) blocks the Department of Housing and Urban Development (HUD) from updating its standards for publicly funded construction to better avoid flood damage. 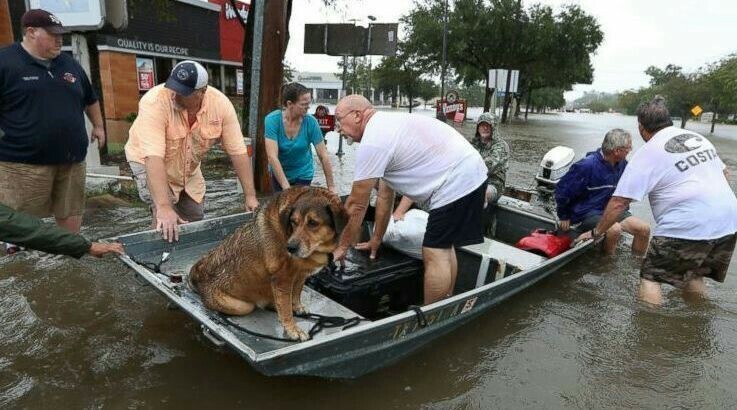 In order to update the standard, the rider requires HUD to perform the Herculean task of mapping every floodplain in the United States; a task that is highly cost prohibitive. This requirement is just a ploy to stop implementation of the federal flood protection standard. It is a myopic action that will harm our country in the long-run as the federal flood protection standard is meant to increase our resilience to future flooding and reduce the amount of federal tax dollars spent to rebuild after a disaster. A rider in the House Defense appropriation (Sec. 8132) would prevent the Department of Defense from enforcing Section 526 of the Energy Independence and Security Act of 2007. EISA Section 526 is a do no harm provision that simply requires high carbon unconventional fuel producers to capture and store their excess carbon before launching their projects through federal awards. It simply ensures that federal contractors reduce the damage they inflict on taxpayers before benefitting from public funds. Taxpayer accountability is an extremely fair thing to ask. An amendment added to the House Defense Appropriation by Rep Buck (R-CO) would discourage the Department of Defense from making its military installations and the military industrial complex more resilient to weather related disasters. It prevents the Department of Defense from assessing the impacts of climate change despite global warming’s long acknowledged role as a security threat multiplier. Many military installations are exposed to worsening weather driven events, yet the amendment elevates climate denial over national security. A rider in the House Financial Services and General Government appropriation (Sec. 745) would unnecessarily delay implementation of new measures to protect public infrastructure from flooding. The rider requires every agency responsible for incorporating the new requirements into their regulations and operating procedures to hold a six-month long public comment period on any proposed regulation, policy, or guidance to implement the executive order. The opportunity for public comment must and should happen, but requiring a minimum of 180 days for public comment is just a blatant attempt to delay implementation until the next Administration. It is not about ensuring public participation and transparency. This sleight-of-hand political maneuvering only serves to harm the American public. The federal flood protection standard is meant to increase our resilience to future flooding, protecting lives and reducing taxpayer dollars spent to rebuild after a disaster. A rider in the House Financial Services and General Government Appropriation (Sec. 1228) offered by Rep Posey would block guidance designed to better inform the public, shareholders and policymakers of the potential risks of climate change to businesses. Climate change can pose a wide variety of risks to a business from loss of assets to broader implications on market trends; disclosure of those potential business risks provides important information for both investors and policymakers. Ignoring the effects of climate change will not make them go away. A rider in the House Energy and Water appropriation (H. Amdt. 33) offered by Rep. Burgess (R-TX) blocks the Department of Energy (DoE) from implementing and enforcing common sense energy efficiency standards for light bulbs. These standards were passed by a bipartisan majority, enacted in 2007 and gradually phased in over the past two and a half years. By all reasonable measures the transition has been a success, and efficient incandescent bulbs are among the variety of choices available for consumers. Continuing the rider will prevent DoE from issuing clarifications on the law that manufacturers desire or enforcing the standards against inefficient, non-compliant bulbs. A rider in House Energy and Water appropriation offered by Rep. Buck (R-CO) prevents the Department of Energy from finalizing or enforcing energy efficiency standards for ceiling fans, ceiling fan light kits, dishwashers, and vending machines. A rider in House Energy and Water appropriation offered by Rep. Stivers (R-OH) prevents the Department of Energy from doing anything to further the Cape Wind Project off the coast of Massachusetts. A rider in the House Energy and Water appropriation offered by Rep. Sanford (R-SC) prevents the Department of Energy from making loans under the Advanced Technology Vehicles Manufacturing Loan Program. This program is designed to ensure that growing demand for efficient vehicles creates jobs in the United States. A rider in the House Energy and Water appropriation offered by Rep. Mullin (R-OK) prevents the Department of Energy from promulgating any regulation with an annual effect of over $100 million between November 8, 2016 and January 20, 2017. This rider continues the false narrative that public protections are snuck through in the final hours of an administration. In fact, these protections are often developed over years with opportunity for public comment at numerous points along the way. A rider in the House Energy and Water appropriation (Sec. 505) would prevent the government from shutting down the proposed nuclear waste repository at Yucca Mountain in Nevada. A rider in the Senate Energy and Water Appropriation (Sec. 306) would allow nuclear waste to be stored in private facilities. 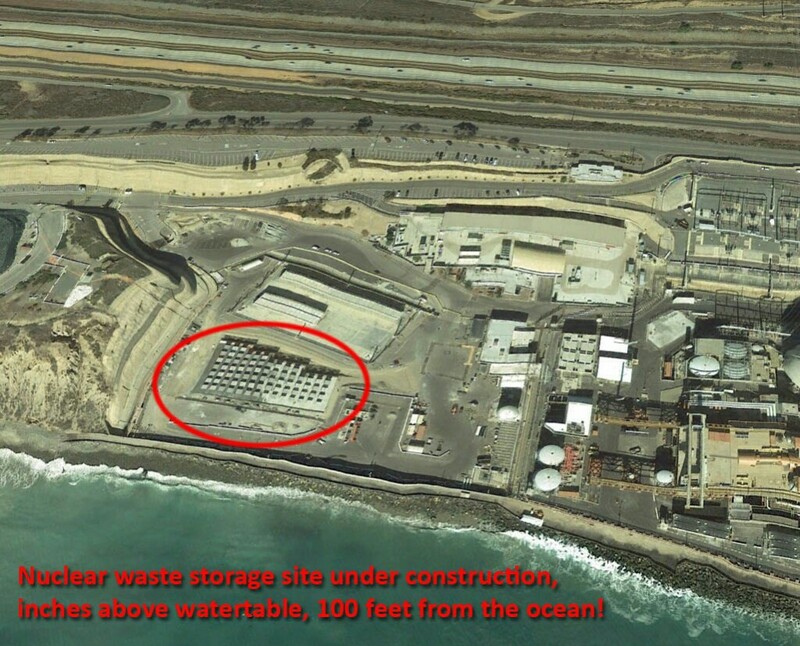 The rider severs any meaningful linkage between the storage and disposal of nuclear waste by exploring storage as a viable option for dealing with nuclear waste from the nation’s weapons programs and nuclear power plants. This dangerous precedent breaks with over 50 years of scientific consensus that supports permanent isolation in deep geological repositories as the only technically, economically, and ethically viable waste disposal option. The substantial distinction between nuclear waste storage and nuclear waste disposal must be preserved and never be blurred. A rider in the House Interior and Environment appropriation added by Rep Black (R-TN) prevents EPA from applying vehicle efficiency and carbon pollution standards to heavy duty truck rebuilds. The amendment would unnecessarily perpetuate pollution and oil dependence by weakening heavy duty vehicle fuel economy standards. A rider in the House Interior and Environment appropriation added by Rep Loudermilk (R-GA) prevents EPA from regulating greenhouse gas emissions from heavy duty truck trailers. Medium and heavy duty vehicles represent a disproportionate share of transportation emissions. New EPA-NHTSA standards for medium and heavy duty vehicles can reduce these emissions with known and available technology, including efficiency improvements to trailers. These measures will help the nation slow climate change and reduce its reliance on oil. Congress should reduce our oil dependency rather than perpetuate it. An amendment added to the House Defense Appropriation by Rep McClintock (R-CA) prevents the Department of Defense from implementing common sense clean energy and energy efficiency programs that are encouraged through Executive Order and statute even though the Department of Defense could benefit from minimizing energy demand and diversifying energy sources. A rider in the House Interior and Environment appropriation (Sec. 118) unnecessarily diverts funding away from real solutions for restoring the health of California’s Bay-Delta estuary to hatcheries. Scientists and conservation groups agree that conservation hatcheries do not address the underlying environmental problems that must be solved in order to save Delta Smelt and other native species in California’s Bay-Delta estuary. In fact, hatcheries in California have not prevented the decline of native salmon populations. A rider in the House Interior and Environment appropriation (Sec. 120) blocks the Department of Interior (DOI) from developing or implementing safeguards designed to protect streams from pollution from surface coal mining. A similar rider was added to the Senate Interior and Environment appropriation (Sec. 121). A rider in the House Interior and Environment appropriation (Sec. 425) permanently prevents the Environmental Protection Agency from updating the definition of “fill material” or “discharge of fill material,” allowing the mining industry to continue dumping toxic waste from mountaintop removal activities into mountain streams. A rider in the House Interior and Environment appropriation (Sec. 426) exempts pollutant discharges that Congress intended to be covered by the Clean Water Act. These discharges damage or destroy streams and wetlands without adequate environmental review, even though the Clean Water Act would otherwise require such oversight. A rider in the House Interior and Environment appropriation (Sec. 427) permanently prohibits the Environmental Protection Agency from clarifying which streams and wetlands are protected by the Clean Water Act. Blocking EPA’s updated Clean Water Rule would threaten those waters, which help supply one in three Americans’ drinking water and trap flood water. A rider in the House Interior and Environment appropriation (Sec. 433) undermines management of federal lands and waters by unreasonably limiting the ability of federal agencies to condition permits to protect fish and wildlife, including endangered species. Last year the White House noted that an identical measure was unnecessary and would preclude management agencies from protecting the public interest. Furthermore it would prevent land management agencies from maintaining sufficient water for other congressionally-designated purposes and ensuring water rights are tied to the activities for which they were developed. A rider in the House Interior and Environment appropriation (Sec. 447 and Sec. 448) added by Rep Valadao (R-CA) would harm endangered and native fish species, threaten thousands of fishing jobs, and upend water usage in California. It overrides protections required under two Endangered Species Act biological opinions regarding management of the state and federal water projects in California’s Bay-Delta estuary, mandating pumping levels far in excess of what is required to protect salmon and other native fish under the Endangered Species Act. It prohibits implementation of the San Joaquin River Restoration settlement between the United States, Friant Water Authority, and conservation and fishing groups to restore the river as required under state and federal law, which is likely to lead to further litigation and eliminate funding for water supply and flood control projects. It further requires the Department of the Interior to increase unsustainable water supply allocations to certain Central Valley Project contractors north of the Delta and reduces reservoir releases in order to provide greater water supply to certain Central Valley Project contractors at the expense of the environment and water deliveries to Southern California. A rider in the House Interior and Environment appropriation (Pg. 83) forces EPA to continue using Safe Drinking Water Act aquifer exemption rules that have allowed for the contamination of underground sources of drinking water. These rules are used to exempt underground sources of drinking water from the protections of the Act, and have led to approval of aquifer exemptions without scientifically-defensible evidence about water quality, demand for groundwater, the rapid depletion of aquifers in many states, the extent to which climate change is likely to exacerbate these problems, improved technologies for water treatment to use brackish groundwater as a drinking water source, and advances in our scientific and technical understanding of groundwater contaminant fate and transport. A rider in the House Interior and Environment appropriation added by Rep Crawford (R-AR) prevents EPA from enforcing or implementing oil spill prevention requirements on farms, irrespective of the amount of oil they store. This approach is nonsensical, in view of the fact that oil spills are no less dangerous to waterways when they come from agricultural operations. The amendment also ignores a study Congress directed EPA to undertake, which identified a “lack of evidence that farms are inherently safer than other types of facilities,” and it ignores the fact that farms already are treated more leniently than other facilities under this program. A rider in the House Interior and Environment appropriation added by Rep Gosar (R-AZ) blocks completion or public distribution of an important EPA-USGS technical report that describes the environmental effects of water flow alteration and how states can manage those effects under existing law. A rider in the House Energy and Water appropriation (Sec. 108) prevents the Army Corps of Engineers from changing the definition of “fill material” or related definitions. This perpetuates the Bush-era redefinition, which treated all kinds of solid material, except garbage, as fill and undid a prior regulatory limitation on discharging other material primarily for the purpose of getting rid of waste. As a result, the rider prohibits action to curtail the use of the nation’s waters as waste dumps for polluting activities like mountaintop removal coal mining. A rider in the House Energy and Water appropriation (Sec. 109) prevents the Army Corps of Engineers from requiring a permit “for the activities identified in subparagraphs (A) and (C) of section 404(f)(1)”. This has been interpreted as reinforcing existing Clean Water Act exemptions for discharges of dredged or fill material associated with farming, ranching, and forestry. A rider in the House Energy and Water appropriation (Sec. 110) prohibits the Army Corps of Engineers from developing, implementing, or enforcing any change to the regulations and guidance” in effect concerning the meaning of “waters of the United States” in the Clean Water Act prior to the Clean Water Rule’s development. The rider would undermine a critically needed, long-overdue, overwhelmingly supported, and scientifically sound rule that protects drinking waters for roughly one in three Americans. The rider also potentially interferes in the judicial process and ongoing litigation around the rule. A rider in the House Energy and Water appropriation (Sec. 204) restricts implementation of two Endangered Species Act biological opinions regarding management of the state and federal water projects in California’s Bay-Delta estuary, making it harder to reduce water pumping to protect salmon and other endangered species under those biological opinions. A rider in the House Energy and Water appropriation (Sec. 205) overrides protections required under two Endangered Species Act biological opinions regarding management of the state and federal water projects in California’s Bay-Delta estuary. The rider mandates pumping levels outside of the Delta far in excess of the maximum limits permitted under those biological opinions, prohibits re-initiation of consultation under the Endangered Species Act, and prohibits implementation of the biological opinions if doing so would reduce water supply. A rider in the House Energy and Water appropriation (Sec. 206) requires the Department of the Interior to attempt to increase unsustainable water supply allocations to certain Central Valley Project contractors north of the Delta. A rider in the House Energy and Water appropriation (Sec. 207) prohibits implementation of the San Joaquin River Restoration settlement between the United States, Friant Water Authority, and conservation and fishing groups to restore the river as required under state and federal law. This would prevent funding for water supply and flood control projects that benefit local farmers, and likely lead the parties back to court because it would allow some 60 miles of California’s second longest river to remain completely dry in violation of state law. A rider in the House Energy and Water appropriation (Sec. 209) attempts to undermine environmental protections for salmon and water quality on the Stanislaus River, reducing reservoir releases in order to provide greater water supply to certain Central Valley Project contractors at the expense of the environment and water deliveries to Southern California. A rider in the House Interior and Environment appropriation added by Rep Lummis (R-WY) prevents EPA’s common sense proposal to monitor groundwater where in-situ uranium mining takes place. These increasingly common mining activities threaten to contaminate groundwater resources with uranium and other harmful pollutants like arsenic. Groundwater that is contaminated by these activities cannot be restored to pre-mining conditions. These long lived contaminants can also migrate to other water sources, demanding that we carefully monitor their movements at a very minimum. The rider also resides in the House Interior and Environment committee report (Committee Report pg. 61). A similar rider was added to the Senate Interior and Environment appropriation committee report as well (Committee Report pg 72). A rider in the House Interior and Environment appropriation added by Rep Goodlatte (R-VA) undermines the successful cooperative federalism of the Chesapeake Bay cleanup and would severely hamper progress being made to clean up local waters. The cleanup is working, and the current process has given the states more control than ever in seeking a solution to the degraded waters of the region, while taking advantage of federal resources to help the states meet their commitments. A rider in the House Interior and Environment appropriation (Sec. 112) blocks implementation of the “Wild Lands” initiative unveiled by then-Interior Secretary Salazar in 2010 that would ensure that lands with wilderness characteristics remain unspoiled. A similar rider was added to the Senate Interior and Environment appropriation (Sec. 113). A rider in the House Interior and Environment appropriation (Sec. 407) allows the Secretary of Agriculture to rely on outdated forest plans, ignoring the reality that national forests are not being managed sustainably, nor taking into account additional considerations such as the increasing impacts from climate change. A rider in the House Interior and Environment appropriation (Sec. 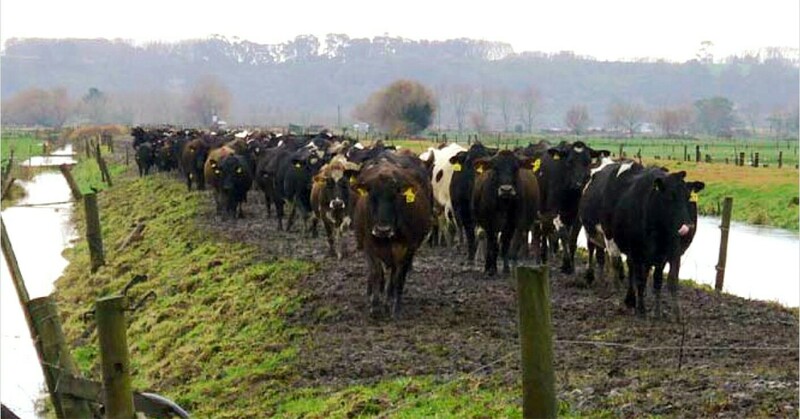 421) exempts livestock grazing permit renewals from environmental review. A similar rider was added to the Senate Interior and Environment appropriation (Sec. 424). A rider in the House Interior and Environment appropriation (Sec. 428) forbids federal land management agencies from placing reasonable limits via the normal land use planning process on fishing, shooting activities for hunting, or recreational shooting if those activities were allowed as of January 1, 2013. A rider in the House Interior and Environment appropriation (Sec. 440) prevents federal agencies from raising royalty rates for federal onshore oil, gas or coal production. American taxpayers are currently being shortchanged by low onshore oil, gas and coal royalty rates and should be allowed a fair return on publicly owned resources. A rider in the House Interior and Environmental appropriation (Sec. 441) derails necessary reforms to coal leasing. The federal coal program faces systemic problems that fail to generate a fair return for taxpayers or provide an efficient, transparent process for coal leasing. The broken federal coal program needs a complete overhaul but instead, this rider short circuits the reform process by placing an unnecessary and arbitrary deadline for its completion. Coal companies have already stockpiled enough unmined coal on existing leases to continue current production levels for at least 20 years, making this rider completely unwarranted. An amendment added to the House Interior and Environment appropriation (Sec. 443) by Rep Simpson (R-ID) prevents new federal land use planning procedures from going forward. This rulemaking will improve not only how BLM treats renewable energy facilities but how it plans for all types of development and conservation on its lands. It is critical that this rule is finalized. An amendment added to the House Interior and Environment appropriation (Sec. 453) by Rep Stewart (R-UT) prevents monument designations in a long list of U.S. counties. The amendment undermines the Antiquities Act, one of our most important tools for preserving our natural and cultural heritage for future generations. A rider in the House Interior and Environment committee report (Committee Report pg. 12) pressures the Bureau of Land Management to allow oil and gas development in sensitive and unique habitats. The BLM is currently deciding the fate of oil and gas leasing in pristine roadless areas of the White River National Forest in Colorado, the most visited national forest in the country. The WRNF is home to priceless outdoor recreational opportunities and essential wildlife habitat and is the source of much-needed tourism dollars and clean drinking water for numerous communities. More than 50,000 members of the public commented on BLM’s Draft Environmental Impact Statement, with the vast majority asking BLM to cancel illegal oil and gas leases and ensure that roadless areas and all their ecological values are fully protected. Congress should not try to politicize the process and intimidate BLM into changing course. A rider in the Senate Interior and Environment appropriation (Sec. 122) allows for the construction of a gravel road through the Izembek National Wildlife Refuge in Alaska. This provision would overturn Interior Secretary Sally Jewell’s December 2013 decision rejecting the 11 mile road through the Izembek refuge. Construction of the road through congressionally-designated wilderness within the wildlife refuge would not only have disastrous environmental impacts on the region, but would also set a dangerous precedent that could allow for other infrastructure projects in refuges nationwide. A rider in the Senate Interior and Environment appropriation (Sec. 407) allows the Secretary of Agriculture to rely on outdated forest plans, ignoring the reality that national forests are not being managed sustainably, nor taking into account additional considerations such as the increasing impacts from climate change. A rider in the Senate Interior and Environment appropriation (Sec. 409) prohibits the use of eminent domain deemed necessary to support federal lands management without approval by the Appropriations committee, with the exception of federal assistance to Florida for Everglades restoration. A rider in the House Agriculture Appropriations committee (Sec. 714) cuts funding for Farm Bill conservation programs essential to protecting our lands and waterways from agricultural pollution. The committee cut funding for the Environmental Quality Incentives Program (EQIP) by $225 million dollars, and reduced the Conservation Stewardship Program by 2 million acres. In the absence of strong regulations, these voluntary programs are the only line of defense against agricultural pollution and they are essential for reducing pollution from agricultural land. These programs also improve wildlife habitat and help farms mitigate and adapt to climate change. Unfortunately, Congress has disproportionately targeted conservation programs for budget cuts every year through the annual appropriations process. A rider in the House Interior and Environment appropriation added by Rep Lamborn (R-CO) would stop the implementation of the Bureau of Land Management’s hydraulic fracturing rule. This rule will help reduce the severe risks posed to clean water and important drinking water sources by widespread hydraulic fracturing by improving well safety, increasing transparency, and addressing threats from toxic wastewater. Health, safety and environmental protections must keep pace with hydraulic fracturing’s rapid growth. A rider in the House Energy and Water appropriation (Sec. 506) would prevent implementation of the National Ocean Policy, a landmark policy designed to safeguard our oceans and coasts. A rider in the House Interior and Environment appropriation added by Rep Byrne (R-AL) prevents implementation of the National Ocean Policy. The National Ocean Policy is a common sense policy that improves the way we manage our oceans, reducing duplicative efforts and conflicting government actions, and facilitates better coordination between federal, state, and local stakeholders. A rider in the House Interior and Environment appropriation added by Rep Zeldin (R-NY) blocks new marine monuments in U.S. waters and undermines the Antiquities Act. By prohibiting the designation of new marine monuments in the Exclusive Economic Zone, this amendment would effectively block future marine monument protections in more than 4.5 million square miles of the ocean. The Antiquities Act is a critical conservation tool and any attempts to undermine it should be opposed. A rider in the House Interior and Environment appropriation (Sec. 420) permanently prevents the EPA from regulating toxic lead in ammunition, ammunition components, or fishing tackle under the Toxic Substances Control Act (TSCA) or any other law. A similar rider was added to the Senate Interior and Environment appropriation (Sec. 423). A rider in the House Interior and Environment appropriation (Sec. 429) blocks EPA from enforcing rules to limit exposure to lead paint. A rider in the House Interior and Environment appropriation (Sec. 430) blocks EPA from requiring industries with high probability of causing catastrophic damage by releasing toxics into the environment from carrying insurance to cover environmental damages they cause. A similar rider was included in the Senate Interior and Environment appropriation (Sec. 417). An amendment added to the House Defense Appropriation by Rep Smith (R-NE) legislatively overrides DOD autonomy to make decisions on nutritional standards for military personnel critical to meet the needs of individual combat readiness, morale, and long-term health obligations. Specifically, it prohibits the military from offering nutritionally complete vegetable-based and/or meat-free meals, even when such meals are determined to be healthier or specifically requested by personnel. These types of nutritional decisions should be science-based, and left to military health and dietary experts who are better qualified to understand the readiness, health, and long term healthcare cost implications of dietary standards, and the commanders who are responsible for the wellbeing and quality of life of their personnel. A rider in the House Interior and Environment appropriation added by Rep Newhouse (R-WA) prohibits EPA from writing any rule that would require the largest industrial animal farms (Concentrated Animal Feeding Operations, or CAFOs) to properly store, transport, or dispose of their wastes, including the hundreds of millions of tons of manure they generate annually. CAFO wastes contain dangerous pollutants that can increase the risk of birth defects, infant deaths, diabetes, and cancer. When not handled properly, CAFO wastes endanger drinking water sources and pose a particularly severe risk to rural communities reliant on well water. A rider in the House Interior and Environment appropriation (Sec 114) prevents the U.S. Fish and Wildlife Service (FWS) from fulfilling its obligations under the Endangered Species Act. The provision overrides a court requirement that FWS must make a determination on whether sage-grouse should be listed as a threatened or endangered species, and sets a dangerous precedent by circumventing the scientific and legal process established to protect imperiled species. A similar rider was added to the Senate Interior and Environment appropriation (Sec. 115). A rider in the House Interior and Environment appropriation (Sec. 119) delists gray wolves in the Great Lakes and Wyoming from the Endangered Species Act and prevent judicial review of this action. A similar rider was added to the Senate Interior and Environment appropriation (Sec. 119). A rider the House Interior and Environment appropriation (Sec. 445) added by Rep Yoder (R-KS) would prevent implementation of enforcement of a threatened species listing for the lesser prairie chicken under the Endangered Species Act. A similar provision was included in the Senate Interior and Environment appropriation (Sec. 111). A rider in the House Interior and Environment appropriation added by Rep Lamborn (R-CO) blocks protections for the threatened Preble’s Meadow Jumping Mouse under the Endangered Species Act, thwarting recovery efforts for this western species, which continues to experience habitat loss and other threats throughout its range. The rider eliminates crucial recovery programs for the mouse, such as Habitat Conservation Plans, that require the participation of private and public land managers as well as federal funding. A rider in the House Interior and Environment appropriation added by Rep Lamborn (R-CO) blocks funding for species listed under the Endangered Species Act if the U.S. Fish and Wildlife Service fails to complete a timely 5-year review of that species’ status. Yet insufficient funding can cause FWS to miss the deadline. Thus, this amendment would condition the very survival of some species on Congress’s longstanding and continuing failure to pass bills to appropriately fund FWS. A rider in the House Interior and Environment appropriation added by Rep Newhouse (R-WA) blocks efforts to protect endangered gray wolves in the continental United States by 2017 under the Endangered Species Act. This species is currently listed as endangered in most of the lower-48 states. A national delisting for wolves would reverse the remarkable progress the ESA has achieved for this species and once again put the gray wolf at risk of extinction. A rider in the House Interior and Environment appropriation added by Rep Pearce (R-NM) blocks federal recovery efforts for the endangered New Mexico Meadow Jumping Mouse under the Endangered Species Act. This rare southwestern subspecies has suffered a significant population decline due to habitat loss and fragmentation throughout its range. A rider in the House Interior and Environment appropriation added by Rep Gosar (R-AZ) blocks federal funding for the endangered Mexican gray wolf under the Endangered Species Act. It also limits recovery to “historic range,” even though scientists say the wolves must be restored to new habitats to recover. There are less than 100 Mexican gray wolves in the United States; blocking recovery for these wolves and keeping them out of suitable habitats they need to recover brings them one step closer to extinction. A rider in the House Interior and Environment appropriation added by Rep Westerman (R-AR) blocks enforcement of a federal court decision that found the U.S. Fish and Wildlife Service violated the National Environmental Policy Act (NEPA) by allowing the killing of double crested cormorants without current data, adequate scientific analysis, or evaluating less harmful alternatives. Congress should allow court decisions to stand, rather than stepping into a role that is not rightfully theirs. A rider in the Senate Interior and Environment appropriation that was added to the committee report (Committee Report pg. 68) declares glyphosate safe for humans and wildlife and urges EPA to rush completion of its registration. 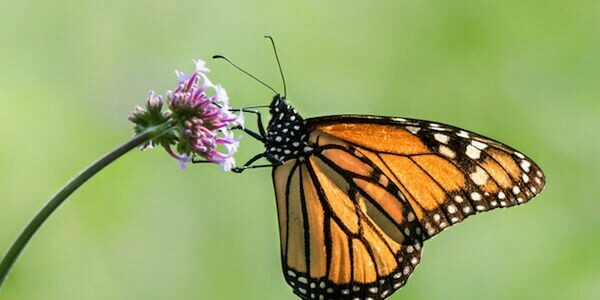 Glyphosate is linked to the dramatic decline in pollinator habitat and potentially poses risks to human health. EPA should expeditiously complete its review but only on the basis of sound science rather than political pressure from Congress. A rider in the Senate Interior and Environment appropriation (Sec. 117) blocks an important FWS rule to conserve wolves, grizzly bears and other native carnivores on national wildlife refuges in Alaska. This provision would bar FWS from prohibiting the state’s aggressive “predator control” program on our federal public lands, effectively allowing extreme non-subsistence hunting practices that target iconic carnivores, including trapping, baiting, aerial gunning, killing at den sites and killing mothers and young. The provision would prevent FWS from ensuring over 100 million acres of federal lands in Alaska are managed in accordance with bedrock conservation laws. A rider in the House Interior and Environment appropriation added by Rep Gosar (R-AZ) would threaten wildlife and risk public safety at Havasu National Wildlife Refuge in Arizona. It would block the U.S. 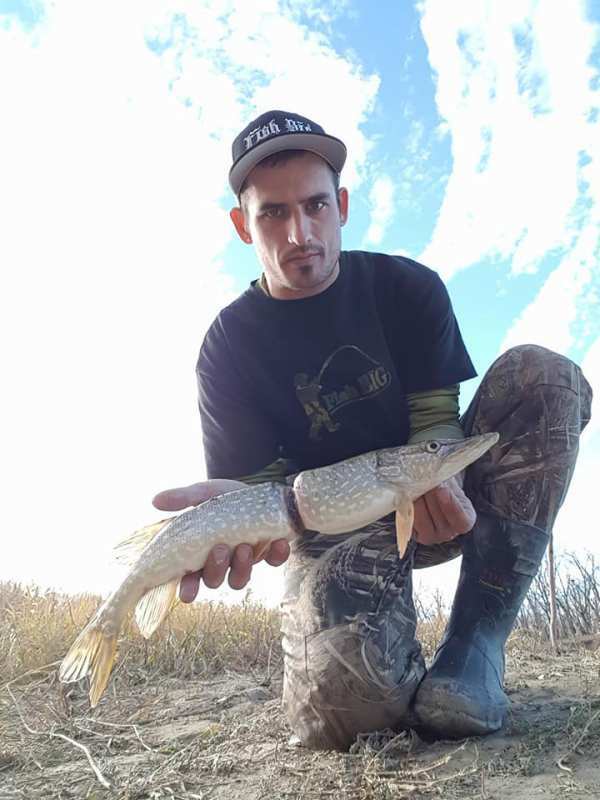 Fish and Wildlife Service and stakeholders from addressing certain recreational activities on the refuge that create dangerous conditions for visitors and undermine natural resource conservation, setting a dangerous precedent for the entire Refuge System. A rider in the House Interior and Environment appropriation added by Rep Cramer (R-ND) would block a badly needed rule that better protects lands and wildlife where non-federal oil and gas development takes place in the National Wildlife Refuge System. This rule will at least better mitigate the impacts of oil and gas extraction on refuges that host wildlife, prized recreation opportunities and natural heritage. By blocking efforts to improve protections, the amendment increases risks to wildlife and public lands. A rider in the House Interior and Environment appropriation added by Rep Price (R-GA) blocks implementation of any rule or regulation that is considered “major.” Official analyses from administrations of both political parties consistently find that such regulations often provide far greater benefits than costs. Yet under this amendment, a rule that brings billions in benefits and a rule that saves human lives will still be barred as long as it has impacts of more than $100 million. A similar rider was added to the Financial Services and General Government appropriation (sec. 1204) by Rep Duffy (R-WI). A rider in the House Financial Services and General Government Appropriation (Sec. 1211) offered by Rep Hudson (R-NC) would stop any regulations from being proposed or finalized until Jan 21, 2017. This amendment would block implementation of regulatory standards and safeguards simply by virtue of when they were proposed or finalized. Such an arbitrary distinction, which bears no relationship to the merits of any particular regulation, would impact regulations that have been in the works for years. Indeed, regulatory process experts at the Administrative Conference of the United States recently released their recommendation on reforms to “midnight” rulemaking, stating “shutting the rulemaking process down during this period would be impractical given that numerous agency programs require constant regulatory activity, often with statutory deadlines. A rider in the House Interior and Environment appropriation added by Rep Weber (R-TX) denies all funds to EPA for its entire budget under the spending bill if the agency is found to act at odds with a single provision in the Clean Air Act to evaluate employment effects. A coal company is suing EPA alleging the agency has failed to conduct such an evaluation. If the company prevails, the court would direct EPA to do the evaluation. This amendment would then prohibit all funds to EPA under the spending bill because the agency was found to have contravened this single Clean Air Act provision. It is irrational and punitive to the American people to defund an entire agency budget over the failure to conduct an evaluation, especially when linked to the active litigation strategy of a company suing the agency. A rider in the House Interior and Environment appropriation added by Rep Smith (R-MO) undermines the ability of citizens to recover legal fees when they settle a lawsuit brought under the Endangered Species Act, Clean Air Act, or Clean Water Act. This restricts access to the courts and allows for the most egregious violations of the Act to remain unchecked and encourages costly litigation rather than settlement. A rider in the House Interior and Environment appropriation added by Rep Smith (R-MO) severely undermines the National Environmental Education Act by prohibiting all funding for environmental education grants to elementary and high schools, colleges and universities and state education and environmental agencies under this law. These grants help state and local educators develop curricula for America’s school children; train teachers, state and local officials, and not-for-profit organizations; and advance environmental education, science and research. The amendment would cripple valuable federal support for environmental education under a law adopted during the first Bush administration. When it comes to gobbling up natural resources, we humans are exceptionally gifted. Monday, August 8, is Earth Overshoot Day, a downer of a holiday that keeps creeping up earlier on our calendars, arriving five days earlier than last year. The Global Footprint Network tracks the point in the year when we’ve used more of the important stuff that sustains life — you know, water, trees, fish — than nature’s ability the regenerate those resources. And we’ve still got 145 days left to go. 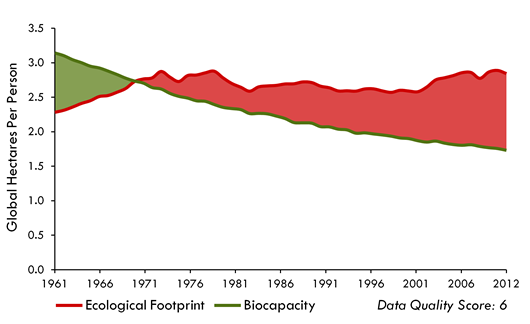 Here’s how our collective footprint (red line) compares to Earth’s ability to cope with that demand (green line) over the past half century. We started overshooting our budget in 1971, and we’ve widened the deficit ever since. Give yourselves a pat on the back, humanity! Check out Grist’s video on Earth Overshoot Day last year, which explains consumption habits in terms you can understand — caffeine addiction. The United States is positively glowing right now. Too bad it’s glowing with dumps. As our population grew over the last century, so did our mountains of trash. This map from SaveOnEnergy (pointed out by CityLab) reveals where landfills sprung up in response to that growth. The circles dotting the landscape indicate the size and status of each dump: Closed landfills are indicated with green dots and operating ones with red. Today, more than 2,000 landfills are operating around the country. Check out SaveOnEnergy’s site for a nifty interactive map that locates landfills near you. The evidence in this video alone is proof of this system in my view. First, we look at jet streams, second – 3 (three) corraborating images and time lapses that show a planetary object, and tons of other photos. TIME TO START PREPARING NOW!!!! Use this site to look at air currents, chemicals in the air, etc.